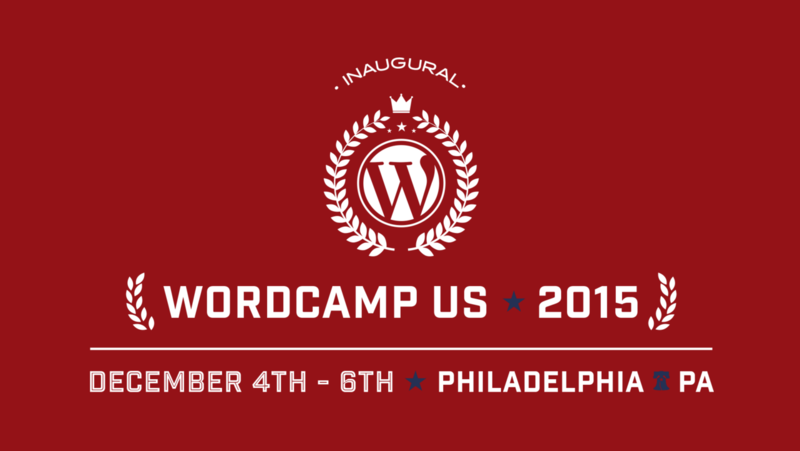 As you might have heard, the first ever WordCamp US was recently held in Philadelphia, Pennsylvania. Though there have been plenty of local WordCamps in the past, this was the very first one designated for all of the United States. The logo for the first WCUS. True to its name, WCUS attracted attendees from all across the country, and even a few from across the globe. The gathering was made up of nearly 2,000 attendees, volunteers, and sponsors, and we here at Woo were delighted to be part of all three groups. WordCamp US was a blast for those of us who made it. We had an incredible opportunity to sponsor this brand new event, talk to dozens of WooCommerce customers, and hear their amazing stories. A few of us volunteered as event staff, one member of our group spoke about eCommerce, and we all rolled T-shirts until our hands went numb. And some of us even ended up on the local news! Here’s a closer look at what went on at the inaugural WCUS, why we wanted to be there, and some of our favorite happenings from the weekend. It isn’t everyday that WooThemers get see each other face to face. This past weekend a half dozen of us came together to attend WordCamp San Francisco, chat with our customers, and eat some amazing burritos (seriously – they were delicious). In attendance were Bryce, Cobus, Dwain, Danny, Marina, and myself. 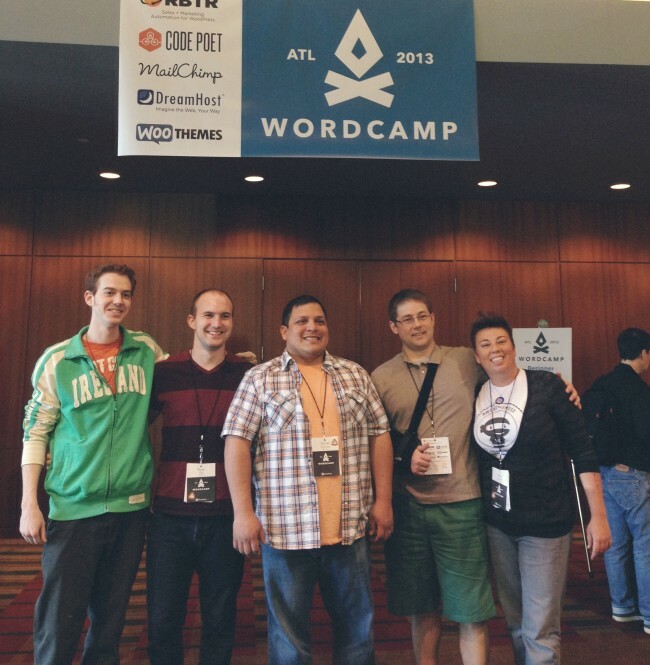 A little while ago we told you how a few of our Cape Town team members have been getting involved in the local WordPress community, with the year’s events ultimately culminating in WordCamp Cape Town 2013. Well, that event was just over a week ago and it was an undoubtedly huge success. For anyone who is unaware, there are conferences happening all around the world that are centered around WordPress. 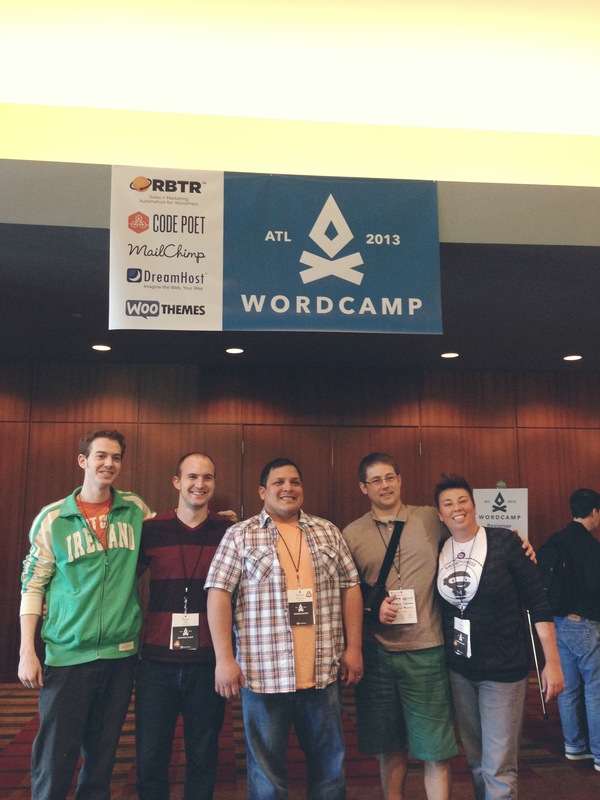 They are appropriately called WordCamps, though they aren’t what you may traditionally think of as a camp. They are, on average, 1 or 2 days long and have a range of attendees. 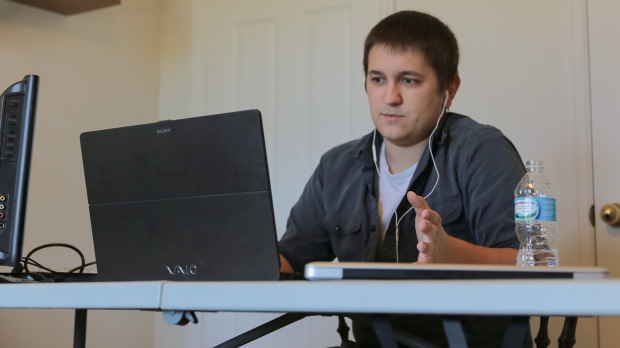 There will be people there that are first time users and people who are developers making a living from WordPress. It’s a fantastic opportunity to learn, network, and get in some team bonding! With that out of the way, most of the US WooThemes crew decided to get together in Atlanta this past weekend for WordCamp Atlanta 2013. It was a fairly central point for us to all meet up, plus WooThemes was a sponsor. We had Tom (New York), Mike K. (Ohio), Maria (Roaming in the RV), Daniel E. (Texas), and myself (Indiana) all get together to have a little fun and checkout a WordCamp. For a lot of us it was our first official WordCamp, I believe Tom was the only person who had gone to another WordCamp before. 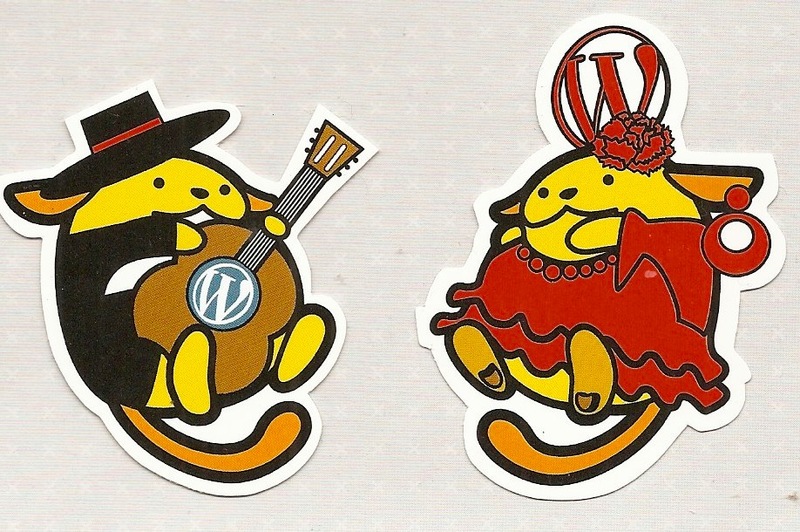 Last weekend WooThemes sponsored the annual WordCamp UK that was held in Edinburgh, Scotland. Myself, Mike and Coen attended and as expected, it was a great event. We met a bunch of cool people in a beautiful city, witnessed some inspiring talks and gathered some interesting ideas and feedback on all things WooCommerce. Read on to learn all about our Scottish adventure! 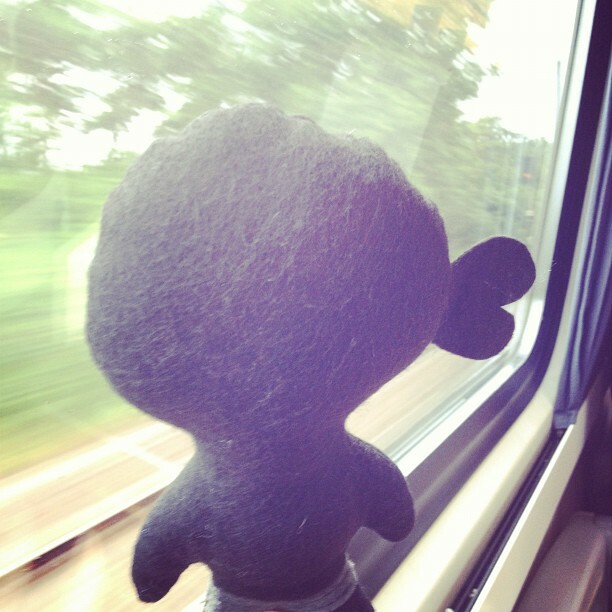 Mike and I spent 5 hours on Friday afternoon travelling up the country by train whilst Coen flew in from Holland, bringing with him some Dutch delicacies for us to try (Chocolate sprinkles for breakfast, anyone? ).